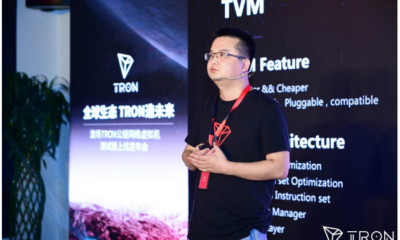 TRON held a global launching event for the TRON Virtual Machine (TVM) on August 30, 2018 (SGT), ushering in a new era with all the supporters and believers. 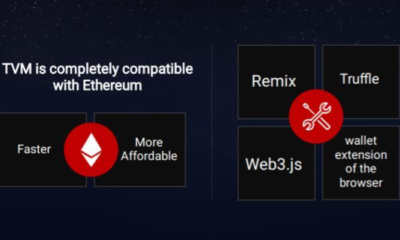 Centered around the TRON ecosystem, the event officially launched the TVM, which is fully compatible with Ethereum, with faster speed, lower costs and easier operation on top of it. The TVM is a lightweight, Turing complete virtual machine devised for the development of TRON’s ecosystem. The TVM aims at providing millions of global developers with a custom-built system for blockchain that is efficient, developer-friendly, stable, secure and easy to optimize. 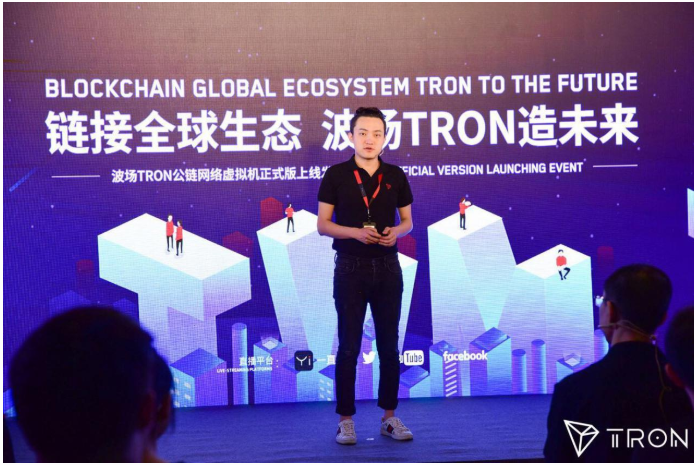 In the event, Justin Sun, founder of TRON, shared some key data of the TRON Network over the past month. It’s reported that the total number of TRON accounts have reached 282,859, a 1431% increase compared to July 28, a 465,00% increase compared to June 25 when the TRON MainNet was launched. As of now, TRON account number is 11 times that of Ethereum (in a 2-month period post the MainNet launch), and has reached the same level of EOS. This is indeed a breakthrough for TRON. In addition, TRON’s single-day transaction number peaked 416,497 in August, a 741% increase compared to that in July, a 13,565% increase in the 2-month period post the MainNet launch; compared with Ethereum in the same 2-month period after it launched its MainNet, the average daily transaction number of TRON is 19 times that of Ethereum. Besides, the peak number of TRON single-day transaction has reached 31% of that of Ethereum. The TRON ecosystem remains active with growing breakthroughs in key indexes. While expanding its ecosystem, TRON continues to push its efforts in building a global community and extending its reach. The number of SR Candidates has jumped from 70 to over 100 over the last month. TRON’s community has also been growing. On Facebook, the total number of the followers of Justin Sun’s personal account and the TRON Foundation has reached nearly 1 million; TRX has continuously ranked No. 1 on Twitter’s discussions. 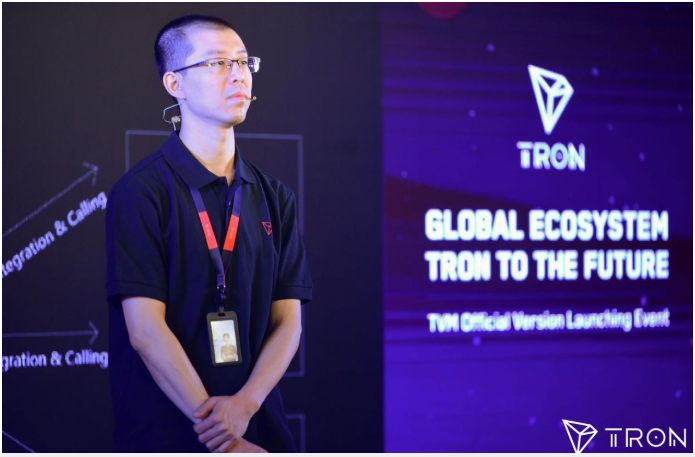 In the event, Justin Sun said, “The launch of the official version of the TVM means that TRON will start to transit from basic infrastructure building to the new stage of ecosystem expansion. We firmly believe that TRON’s development will bring a new breeze to the industry. We also believe that we can complete our mission of decentralizing the internet.” A new era of application for TRON has arrived! The TRON Virtual Machine has been launched today. During the live stream, CTO Chen Zhiqiang claimed: we are finally embracing the milestone of TVM officially launched on MainNet，this is an exciting moment. 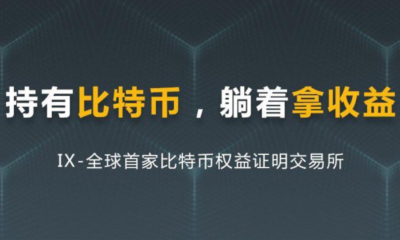 Later Chen Zhiqiang depicted the calling procedure of fullnode and tron network, providing the developers with a more comprehensive understanding towards the implementing process respectively, in order to develop their own TRON-based DAPP more effectively. In the event, Marcus, public blockchain tech director of TRON, highlighted features of the TVM. According to Marcus, the beta version of the TVM has already achieved “full compatibility with the Ethereum Virtual Machine”, yet the new version has a unique virtual memory mechanism which significantly reduces the amount of physical memory usage, providing developers with near-infinite memory. This will greatly reduce the running cost of DApps and avoid issues like high costs —— EOS has that issue with its memory, to interfere with the development process. 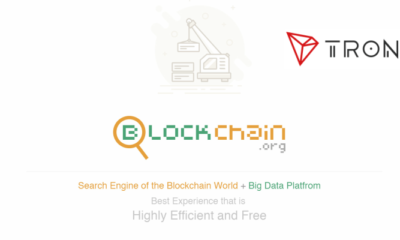 TRON has also designed a distinctive resource management model The entire TVM system uses bandwidth and energy to represent aggregate system resources. The underlying concept of memory, cpu, etc. is shielded, improving accessibility of the system and reducing the learning cost for DApp development. As for TRON’s business model, resource consumption of smart contracts is 2B instead of 2C: the smart contract developer will be responsible for the resource consumption generated by the calling in certain proportion, reducing the resource burden for the caller. Most surprisingly, TRON has already implemented decentralized exchanges of the bancor protocol in Version 3.0, which means that the TRON network allows everyone to issue their own token and own their own exchange. 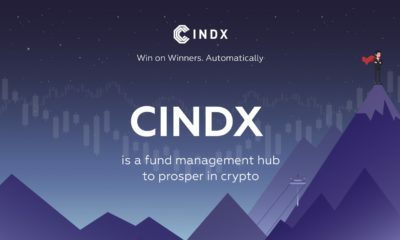 This will improve token liquidity and significantly enhance the TRON ecosystem. Marcus also introduce TRON’s progress in data and network For database, 1. TRON has optimized the new version of the in-memory database, which coexists with the original database scheme. Data from the new database is fully compatible with the original one, which can be easily switched with configuration files. 2. TRON has optimized the thread locking mechanism, which now supports multi-thread management of pending queues. It will effectively improve TPS. For P2P network, TRON has optimized the master-slave feature of the node. The node supports one server with multiple backups, which enhances the stability of the node, especially the SR node. In addition, Multi-dimensional scoring is performed for each node; the best node will be selected to build a network with the best performance. 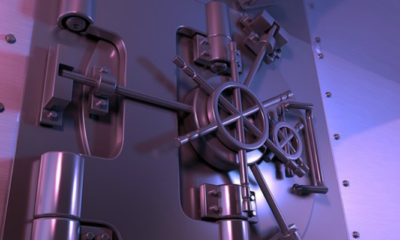 The network can now effectively defend against Dos attacks, eclipse attacks, TCP connection attacks, and big message attacks. Future plans for Q4 On September 30, TRON will release plans and details of multi-signature, zero-knowledge proof, cross-chain communication. The next version will realize the plugin mechanism for the database as well as the bft consensus. Compiler optimization, instruction set optimization, storage optimization will be conducted for the TVM. TRON will also support the community to set up plans for building physical servers. In addition, TRON will set up a multiple-IDC backup plan, so as to enhance the physical decentralization of the entire network. “The most important part of the system is actually you, the community. We have been thinking and practicing how Tron may play its best in the system.” This showcased the determination of TRON to build a truly decentralized ecosystem. 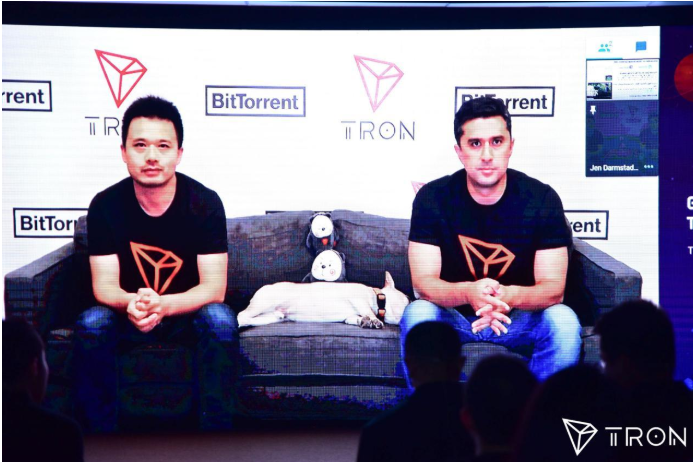 Storage BU Head Rogelio Choy introduced TRON the TRON Storage BU, whose kernel business can be divided into two dimensions: uTorrent and BitTorrent. BitTorrrent is the most popular p2p file sharing contract. Free, light and swift, BitTorrent possesses a monthly active users of 100 million and daily active users of 25 million, which can be utilised on Window, Apple, Android and ios system. UTorrent Web is a browser-based product, with the main concentration on flow experience and instant play. More mobile products will come up immediately. The TVM launching event is a great success. Virtual Machine (VM) plays a very important role in blockchain application; the development of blockchain projects is reflected by the development of blockchain VMs. The TVM brings about greater potential for applications that run on blockchain. The upgrade from the beta version to the official version of the TVM indicates infinite possibilities of blockchain VM from TRON, much more than smart contracts. TRON has always attached great importance to building the infrastructure for the TRON ecosystem. Since the release of the TVM beta version on July 30, 2018 (SGT), the TRON team has been conducting tests and debugging for the security and stability of the TVM, as well as optimization for the compiler and the instruction set. Currently, the TVM official version integrates better developers’ tools, developer team building and game engine construction, which creates a VM system with higher performance, better ecosystem and easier operation. TRON’s technologies for actual-scenario application are changing the way people think and product forms; the new mindset and product demand in turn promote the evolution of technologies. The TVM launching event represents a brand new DApp era for TRON’s global ecosystem, as well as a milestone for the entire blockchain ecosystem.